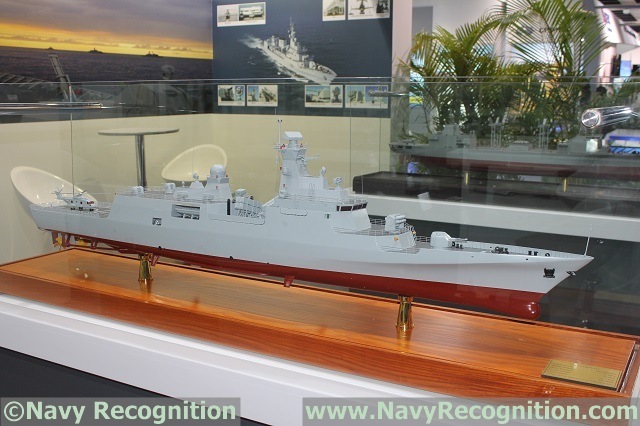 CSTC is also showing at DSA its design proposal for the Royal Thai Navy future RFI for an LPD. The LPD design (no project name was given to us) may accommodate 360 embarked troops in addition to its crew of 130 sailors (plus 15 for the aviation detachment). The LPD's endurance is in excess of 45 days. Two S-70 type helicopters can fit in the hangar while the deck may accept one CH-47 Chinook helicopter. The CSTC representatives could not give us the overall length of this LPD project but gave us a displacement of 22,000 tons.